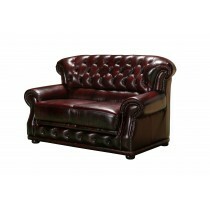 The high back chesterfield offers several benefits. When looking at a classic low back chesteerrfield, the purchaser may not feel compfrotable with the lack of support across the upper back. Whereas some people love the feel of the low back and the implied requirement to "sit correctly", others are looking for more support. The other benefit of the nigh back lounge is to give a degree of gravitas to a room. 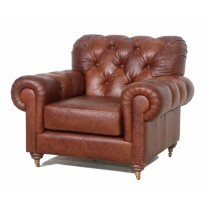 The low back chesterfields can give a less impactful feel to a room, where the high back can really give that regal "Queen Anne" furniture feel. The Paris 2 seater and 3 seater are examples of this. What are the measurements of the room, and what configuration would I ideally like. What colour would ideally suit the room, and what cover is preferrable. 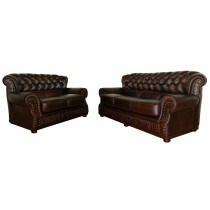 For example, is a traditional leather chesterfield the preference, or would a fabric chesterfield be more appropriate? 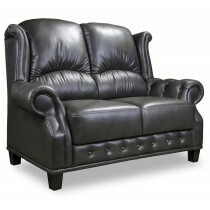 In regards to comfort, high back or low back chesterfield? Only you can decide this one. Maybe you have always had high back lounges and despite the fact you love the low back chesterfield, the idea of sitting in them for a long time is a challenge. 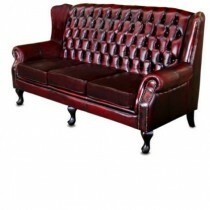 Can I Buy a Fabric High Back Chesterfield Lounge? 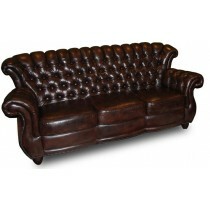 Fabric chesterfield lounges are becoming more popular. At Chesterfield Gallery you have the opportunity to order your new chesterfield in either our factory fabrics or the wide selction of fabrics from Warwick Fabrics. You can go to any of their showrooms and discuss fabric options with them that will suit you space and budget. Velvet chesterfields are especially popular, while linen and even yellow chesterfields have proven popular. Studs - individual or stud strips. Brass and silver also available.